Last month, millions of Iranians participated in elections to select their representatives for parliament and the Assembly of Experts. The election results suggest a strong vote of confidence for policies that address economic issues, promote increased engagement with the international community, and that espouse improved protections for human rights. 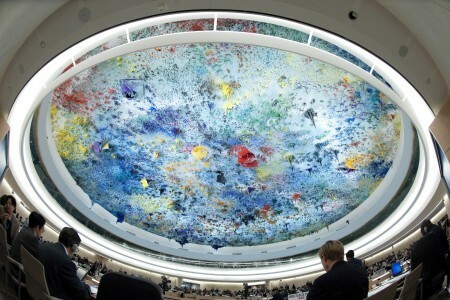 When the new Parliament meets in May, its members will be confronted with myriad economic and human rights challenges. But they will be doing so amid opportunities presented by the implementation of the JCPOA and the lifting of economic sanctions, which have had a serious impact on the standard of living in Iran. The conclusion of negotiations laid the groundwork for Iran to reintegrate into the world economy and opens the door for much needed investment in the country. It also affords the Iranian government the space necessary to focus its efforts on improving the country’s human rights situation. My most recent report to the Council presents several positive steps taken by the Government towards addressing pressing issues of concern raised by UN human rights mechanisms. They include steps taken to amend some provisions of Iran’s penal and criminal procedure codes to comply with international standards and practices. The report also acknowledges the Parliament’s willingness to reexamine laws that have contributed to a staggering execution rate in in the country. These steps should be applauded, and every effort must be made to ensure that they translate into real change on the ground that will, in turn, lead to an end to the most serious abuses that continue to be reported. These abuses include an alarming surge in the rate of unlawful executions in the country, and ongoing arbitrary arrests, detentions and prosecutions of individuals for the exercise of their fundamental rights. At least 966 persons—the highest rate in over two decades — were executed in 2015. At least 73 juvenile offenders were reportedly executed between 2005 and 2015. In the past two years alone, 16 juvenile offenders were executed. At present, at least 160 others are awaiting the same fate on death row. My report also highlights the ongoing challenges facing religious and ethnic minorities in the country. Reports I receive suggest the continuing persecution of Iranian Christians from Muslim backgrounds. Moreover, the authorities continue to restrict or interfere with the right of Baha’is to openly manifest their beliefs, to educate their children, and to earn a living. I also continue to receive reports regarding the arbitrary killing of kulbaran, or border couriers, engaged in smuggling items such as tea and tobacco due to inadequate employment opportunities in Iran’s Kurdish- and Baluch-majority provinces. These abuses demonstrate an obvious gap between Iran’s international legal obligations and its compliance with them. I urge the Iranian authorities to recognise that freedom of religion or belief entails the freedom to choose a religion or belief, and that measures which impose restrictions on the practice of other faiths or that restrict their eligibility for civil, political, social or economic rights, violates the prohibition of discrimination based on religion or belief and the guarantee of equal protection under international law. The troubling state of human rights in Iran today is due, in large part, to (1) inadequate legal protections against rights abuses, and (2) a failure to faithfully and properly implement laws that satisfy Iran’s international legal obligations. The urgent need for fundamental reform of the country’s criminal justice system, and the impact these reforms can have in dramatically improving the human rights situation in Iran cannot, in my opinion, be overstated. I applaud recent amendments made to the country’s criminal procedure code that expand rights for the accused, including by allowing access to lawyers during the investigative phase of criminal cases, and increased restrictions on pretrial detention. I note, however, that the amended criminal procedure code retains provisions that compromise or weaken due process and fair trial guarantees for individuals accused of national security crimes, which are often lodged against human rights defenders, religious and ethnic minorities, and journalists. For example, a controversial provision of the code now requires individuals accused of national security or capital offenses to select their counsel from an official pool of lawyers chosen by the Head of the Judiciary. The amended code also allows a prosecutor’s office to restrict access of the accused and their lawyers to information being used to support allegations against them, preventing them from mounting a proper and effective defense. It should also be noted that amendments to the penal code now allow judges to assess the mental capacity of juvenile offenders before issuing a death sentence to determine if they understood the consequences of their actions at the time they committed a capital offense. In January 2015, Iran’s Supreme Court issued a ruling requiring all courts to retroactively apply the new amendment for cases adjudicated prior to 2013 if juvenile defendants petition for a retrial. However, I continue to receive reports suggesting that some juvenile offenders on death row have not taken advantage of this new ruling, in part, because they were unaware of its existence. I have also received troubling reports indicating that the Supreme Court has rejected several petitions for retrial and affirmed the death sentences of at least six others, one of whom was executed this past year. I join the Committee on the Rights of the Child, which recently reviewed Iran, in expressing serious concern at the ongoing execution of juveniles, and call on the Government to end this practice. I also call on the Government to raise the age of criminal responsibility to 18 years and without discriminating between boys and girls. I believe the breadth of pressing and emerging issues presented in my report are emblematic of the very serious challenges that must be overcome if Iran is to see a significant improvement in its troubling human rights situation. And, although the problems I have highlighted today are fundamental and serious, they are resolvable. Some of the positive steps presented in my report inform my confidence in this belief. But the government will need to take more concrete action to address the aforementioned problems, especially those that severely weaken its criminal justice system, that undermine fundamental rights, and that discriminate against women, ethnic and religious minorities. I also wish to highlight the increasing cooperation that is being extended to my mandate by the government of Iran by giving me access in Geneva to key actors and stakeholders from Iran whose functions have a direct impact on the realization of human rights on the ground. However, I continue to call on the government to respond positively to my requests to visit the country, as well as the recurring requests of at least seven other special procedures seeking country access since 2002. This would undoubtedly increase the confidence of external observers in both the intention and the capacity of Iran to observe its human rights obligations. It will also enable me to engage more closely with government officials and NGOs who now travel to meet me in Geneva. I would like to conclude my opening remarks by thanking the Ambassador of Iran for his efforts to develop a constructive dialogue with the mandate, and also various thematic mandate holders for lending their collective voice to the various communications sent to Iran seeking the protection of the human rights of the people of the Islamic Republic. I look forward to engaging on these issues further and to contributing to the work ahead.